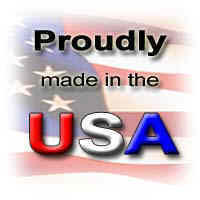 the simple addition of this filter could make your product EMC Compliant! noise on power lines emanating from equipment in both test lab and in real-life situations. Innovative design accomplishes maximum noise suppression of signals polluting your power lines, freeing sensitive equipment from harmful interference. (EMI) spreads through power lines and ground, it causes downtime and errors in today’s equipment and may inflict component damage. Unique design of OnFILTER CleanSweep® series focuses on the properties of real-life signals on power lines and produces maximum attenuation of the “worst offenders” on power lines. Filters are very easy to install - just plug it into the wall outlet and plug your equipment into the outlet on the filter. CleanSweep® 3A AC power line filters provide clean power to equipment up to 360W for 120VAC circuits and up to 750W for 250VAC circuits. It is prudent, however, to leave some headroom for current rating because most equipment has uneven current consumption during its operation and the resulting peak current may exceed maximum rating. CleanSweep® 10A AC power line filters provide clean power to equipment up to 1200W for 120VAC circuits and up to 2500W for 250VAC circuits. When selecting current rating of filter it is prudent to leave some headroom for current rating because most equipment has uneven current consumption during its operation and the resulting peak current may exceed maximum rating of the filter. CleanSweep® 20A AC power line filters provide clean power to equipment up to 2400W for 120VAC circuits and up to 5000W for 250VAC circuits. When selecting current rating of filter it is prudent to leave some headroom for current rating because most equipment has uneven current consumption during its operation and the resulting peak current may exceed maximum rating of the filter. CleanSweep® 30A AC power line filters provide clean power to equipment up to 3600W for 120VAC circuits and up to 7500W for 250VAC circuits. When selecting current rating of filter it is prudent to leave some headroom for current rating because most equipment has uneven current consumption during its operation and the resulting peak current may exceed maximum rating of the filter. Soldering process involves physical contact between soldering iron which is connected to power line and your sensitive components. Ever-present noise on the mains and ground may cause significant current between the tip of the iron and components, creating electrical overstress (EOS) that causes component damage, including latent damage.CleanSweep® EMI filters specially designed for soldering applications reduce this EOS current down to negligible levels enabling safe soldering of even the most sensitive components. 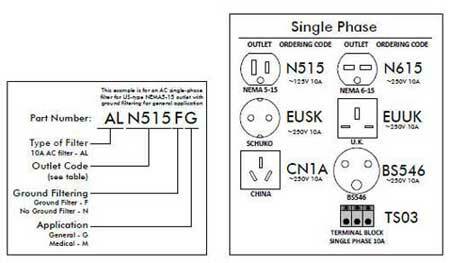 These filters create electrically quiet "eco-zone" between the AC supply of the soldering iron and ground of the circuit board. 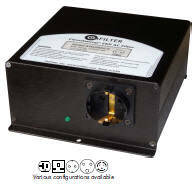 Use of CleanSweep® filters for soldering is very simple: plug your soldering iron through small-size filter and connect ground of your workbench or board under assembly to ground terminal of filter. Three-phase CleanSweep® Delta filters are rated for up to 30A RMS 250V 50/60Hz systems. They offer exceptional reduction of real-life noise on power lines. Three-phase CleanSweep® Wye filters are rated for up to 30A RMS 250V 50/60Hz systems. They offer exceptional reduction of real-life noise on power lines. This ground EMI filter model GLE30-1 connects your equipment to the facility ground via special filtering circuit. It offers suppression of high-frequency noise on ground while maintaining very low impedance to ground. The filter is very easy to connect and it requires no maintenance. 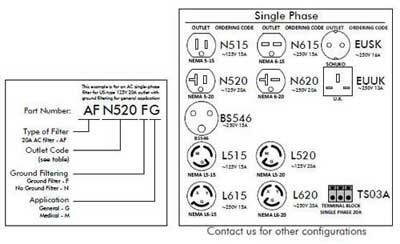 This filter is designed for equipment consuming up to 30A RMS. Though normally current on ground is negligible, safety regulations require that the ground path should be able to withstand the same current as the power circuit itself. 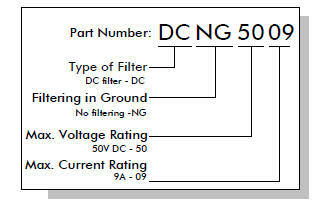 This DC filter provides substantial noise reduction on DC power lines of up to 50V 9A. Filter provides noise suppression in both directions protection your DC lines from noise generating by a particular piece of equipment, or protecting your sensitive equipment from noise on power line. OnFILTER’ plug-in EMI Adapter plugged into your power outlet separates high-frequency signals from power line voltage and provides 50 Ohms output via BNC connector. You can observe waveforms of noise on the screen of your oscilloscope or analyze noise spectrum with your spectrum analyzer. EMI Adapter can be switched between differential (normal) and common mode settings providing complete information to your instrument. OnFILTER’ hand-held EMI Adapter is equipped with the test leads that allow connection to both electrical receptacles of different types and to connections in the electrical distribution boxes. 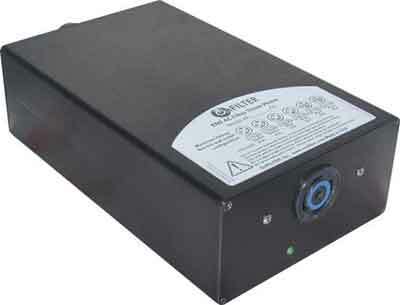 EMI adapter separates high-frequency signals from power line voltage and provides 50 Ohms output via BNC connector. You can observe waveforms of noise on the screen of your oscilloscope or analyze noise spectrum with your spectrum analyzer. 20Amp AC three phase Delta filter with NEMA L14-20 up to 250V AC 20Amp, Ground connection is Filtered for General application. 30Amp AC three phase Delta filter with NEMA L14-30 up to 250V AC 30Amp, Ground connection is Filtered for General application. 20Amp AC three phase Delta filter with NEMA L15-20 up to 250V AC 20Amp, Ground connection is Filtered for General application. 30Amp AC three phase Delta filter with NEMA L15-30 up to 250V AC 30Amp, Ground connection is Filtered for General application. 20Amp AC three phase Delta filter with NEMA L14-20 up to 250V AC 20Amp, Ground connection is not Filtered for General application. 30Amp AC three phase Delta filter with NEMA L14-30 up to 250V AC 30Amp, Ground connection is not Filtered for General application. 20Amp AC three phase Delta filter with NEMA L15-20 up to 250V AC 20Amp, Ground connection is not Filtered for General application. 30Amp AC three phase Delta filter with NEMA L15-30 up to 250V AC 30Amp, Ground connection is not Filtered for General application. 20Amp AC three phase Delta filter with NEMA L14-20 up to 250V AC 20Amp, Ground connection is Filtered for Medical application. 30Amp AC three phase Delta filter with NEMA L14-30 up to 250V AC 30Amp, Ground connection is Filtered for Medical application. 20Amp AC three phase Delta filter with NEMA L15-20 up to 250V AC 20Amp, Ground connection is Filtered for Medical application. 30Amp AC three phase Delta filter with NEMA L15-30 up to 250V AC 30Amp, Ground connection is Filtered for Medical application. 20Amp AC three phase Delta filter with NEMA L14-20 up to 250V AC 20Amp, Ground connection is not Filtered for Medical application. 30Amp AC three phase Delta filter with NEMA L14-30 up to 250V AC 30Amp, Ground connection is not Filtered for Medical application. 20Amp AC three phase Delta filter with NEMA L15-20 up to 250V AC 20Amp, Ground connection is not Filtered for Medical application. 30Amp AC three phase Delta filter with NEMA L15-30 up to 250V AC 30Amp, Ground connection is not Filtered for Medical application. 20Amp AC three phase Wye filter with NEMA L18-20 up to 208V AC 20Amp, Ground connection is Filtered for General application. 30Amp AC three phase Wye filter with NEMA L18-30 up to 208V AC 30Amp, Ground connection is Filtered for General application. 20Amp AC three phase Wye filter with NEMA L21-20 up to 208V AC 20Amp, Ground connection is Filtered for General application. 30Amp AC three phase Wye filter with NEMA L21-30 up to 208V AC 30Amp, Ground connection is Filtered for General application. 20Amp AC three phase Wye filter with NEMA L18-20 up to 208V AC 20Amp, Ground connection is not Filtered for General application. 30Amp AC three phase Wye filter with NEMA L18-30 up to 208V AC 30Amp, Ground connection is not Filtered for General application. 20Amp AC three phase Wye filter with NEMA L21-20 up to 208V AC 20Amp, Ground connection is not Filtered for General application. 30Amp AC three phase Wyefilter with NEMA L21-30 up to 208V AC 30Amp, Ground connection is not Filtered for General application. 20Amp AC three phase Wye filter with NEMA L18-20 up to 208V AC 20Amp, Ground connection is Filtered for Medical application. 30Amp AC three phase Wye filter with NEMA L18-30 up to 208V AC 30Amp, Ground connection is Filtered for Medical application. 20Amp AC three phase Wye filter with NEMA L21-20 up to 208V AC 20Amp, Ground connection is Filtered for Medical application. 30Amp AC three phase Wye filter with NEMA L21-30 up to 208V AC 30Amp, Ground connection is Filtered for Medical application. 20Amp AC three phase Wye filter with NEMA L18-20 up to 208V AC 20Amp, Ground connection is not Filtered for Medical application. 30Amp AC three phase Wye filter with NEMA L18-30 up to 208V AC 30Amp, Ground connection is not Filtered for Medical application. 20Amp AC three phase Wye filter with NEMA L21-20 up to 208V AC 20Amp, Ground connection is not Filtered for Medical application. 30Amp AC three phase Wye filter with NEMA L21-30 up to 208V AC 30Amp, Ground connection is not Filtered for Medical application. 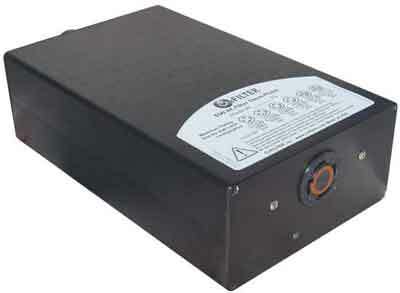 9Amp DC filter with no filtering on ground and 50V DC voltage rating.